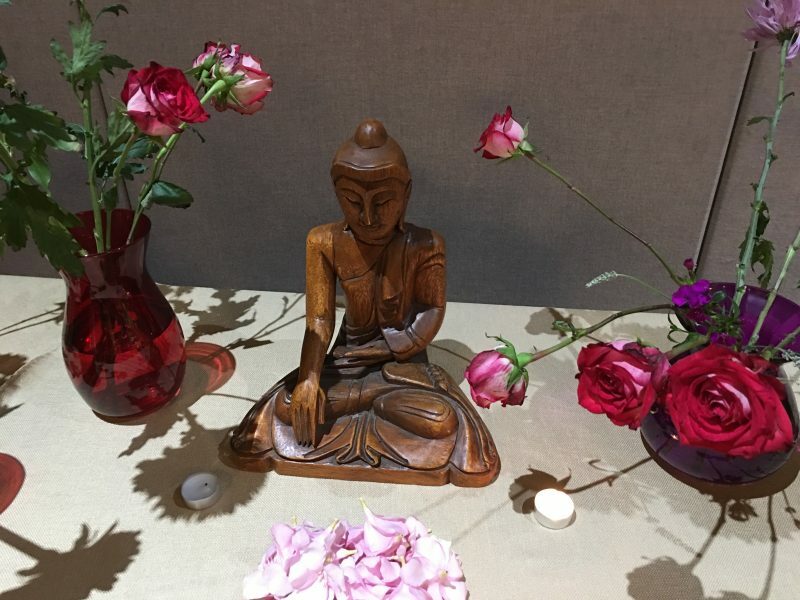 On May 29, 2019 the IMSB community, guided by Sharon and Laura, celebrated the Buddhist holiday called Wesak. It was a joyous opportunity to celebrate the birth, Enlightenment, and death of the historical Buddha, Siddhartha Gautama. The evening program included a guided reflection on the qualities of the Buddha, a meditation on virtue, reaffirming of our commitment to develop our minds, to practice loving-kindness, and to bring peace and harmony to this world. The evening culminated with a flower offering to honor the Buddha and his teachings, discussion groups to share our aspirations, and social time with tea and treats. Happy Wesak Wishes! May the Buddhadharma thrive and contribute to peace and wisdom in our world.